, allowing light entering the eye to be properly focused onto the retina for clearer vision without eyeglasses or contact lenses. During LASIK, a thin circular "flap" is created on the eye's surface using a microkeratome or a femtosecond laser surgical tool. The surgeon then folds back the hinged flap to access the stroma and reshape the corneal tissue using an excimer laser. The flap is then returned to its original position and serves as a natural bandage, keeping the eye comfortable as it heals. The flap adheres securely without stitches, and healing occurs relatively quickly. During PRK, instead of creating a corneal flap as in LASIK, the surgeon completely removes the extremely thin outer layer of the cornea (epithelium , which is like a clear "skin layer" covering the cornea), using an alcohol solution, a "buffing" device or a blunt surgical instrument. The underlying corneal stroma is then reshaped with an excimer laser. A new epithelial layer grows back within five days. The LASEK procedure involves a little of both LASIK and PRK. Like in PRK, the corneal epithelium is separated from the underlying stromal layer. But instead of completely removing and discarding this tissue, as in PRK, the LASEK surgeon pushes an ultra-thin "flap" of epithelium off to one side of the cornea, where it remains attached to the eye (like the thicker flap of corneal tissue created during LASIK surgery). After the laser treatment is finished, the epithelial tissue is repositioned on the surface of the eye to cover the lasered stroma, and a bandage contact lens is placed on the eye to keep the epithelium in place as it heals. Another laser eye surgery, called epi-LASIK or e-LASIK, is very similar to LASEK. But instead of using alcohol to loosen the epithelium like in LASEK, in epi-LASEK the surgeon typically uses a blunt, plastic blade to separate the epithelial sheet from the eye. This avoids the possibility of a reaction from the alcohol, which can kill epithelial cells. LASIK, PRK and LASEK all have high success rates and similar vision outcomes. One is not necessarily better than the other in the long term, but vision tends to be more hazy in the first week with LASEK than with LASIK and PRK. After a thorough eye exam, your eye surgeon will advise you on the best type of laser eye surgery for your individual needs and requirements. The hinged flap made in LASEK surgery is created in the epithelial layer of the eye and is much thinner than the corneal flap created in LASIK (which contains both epithelial and deeper stromal tissues). This is of particular importance if you have a naturally thin cornea that makes you a less-than-ideal LASIK candidate. The LASEK technique avoids any corneal flap-related LASIK complications and lessens the likelihood of removing too much cornea with the excimer laser and compromising the structural integrity of the eye. By avoiding a deeper flap, there also is slightly less risk of developing dry eyes after LASEK eye surgery. LASEK also may be a better option if you have a high degree of myopia (which requires more tissue removal from the central cornea to correct the refractive error), or if your occupation or hobbies puts you at high risk of an eye injury and dislodging the corneal flap created in LASIK surgery. It's important to note, however, that LASEK typically involves more discomfort and a longer recovery time compared with LASIK surgery. LASEK is very similar to PRK. Both involve lifting the extremely thin epithelium to access the deeper corneal tissues, instead of creating a thicker corneal flap as in LASIK surgery. The key difference between LASEK and PRK is that LASEK preserves and then replaces the epithelial layer whereas in PRK the epithelium is completely removed and discarded and a new epithelial layer grows back over the next few days following surgery. Initially, many surgeons thought that by preserving the epithelium LASEK would have a faster recovery time than PRK. In practice, however, many surgeons have found that the replaced epithelial layer in LASEK often takes longer to heal compared with the growth of a new epithelial layer after PRK. As such, PRK remains the most popular of the "surface ablation" techniques (PRK, LASEK and epi-LASIK). Before. Your eye surgeon will perform a thorough eye exam and general health check to see if you are a suitable candidate for LASEK eye surgery. Many eye surgeons will recommend LASEK only if you are not suited to LASIK eye surgery. If you wear contact lenses, your doctor typically will instruct you to stop wearing them for a period of time before taking measurements for laser eye surgery as contacts can change the natural shape of your cornea. As you won't be able to drive yourself home from the surgery, you'll need to arrange someone to drive you. You'll also need to organize time off work — around a week in typical cases — as your eyes heal and your vision begins to improve. During. Numbing anesthetic drops are first applied to your eye. Then your surgeon makes a circular cut in the corneal epithelium using a fine blade (trephine). The trephine leaves a small arc-shaped area of the circle uncut, so the epithelial "flap" that's created remains attached to the eye. A diluted alcohol solution is placed over the eye for approximately 30 seconds, which loosens the edges of the epithelium and enables the surgeon to gently push the loosened flap of epithelium to the side. A special contact lens that acts as a protective bandage is then placed over your eye. LASEK eye surgery is performed on a walk-in, walk-out basis, and should take about 15 minutes per eye. You are awake for the procedure and shouldn't feel any pain, but your surgeon may give you a mild sedative to help you relax. After. You can return home after a brief period of rest following LASEK surgery. Most people report mild to moderate discomfort in the first few days after LASEK. You will need to keep the "bandage" contact lens on your eye for approximately four days while the surface epithelial cells heal and regenerate. Your doctor also will prescribe topical steroids and antibiotics for at least three weeks to aid healing and minimize the risk of infection. Generally, visual recovery after LASEK (and epi-LASIK) is significantly slower than after LASIK and often slower than the recovery after PRK. Initial visual recovery can take up to a week with LASEK (as opposed to 24 hours in typical LASIK cases) and final outcomes can be seen anywhere from a few weeks to several months. LASEK and PRK outcomes are similar to LASIK results. Most people achieve 20/20 vision after laser eye surgery, and nearly all achieve 20/40 visual acuity or better. Depending on your degree of refractive error, you may still need to wear eyeglasses or contact lenses, but the prescription will be significantly lower. Like LASIK and PRK, LASEK eye surgery is not necessarily a solution for presbyopia, a naturally occurring age-related loss of near vision. Your doctor will be able to advise whether you're a suitable candidate for presbyopia surgery instead. While LASEK avoids the corneal flap-related risks of LASIK, there are some complications exclusive to LASEK surgery. In some cases, the thin epithelial flap created during LASEK is not strong enough to be replaced over the treated area and will be removed completely as it would have been in PRK. Typically, this does not pose a risk, but if you have a very high prescription for myopia you may have a greater likelihood of experiencing hazy vision. The alcohol solution used during LASEK causes tissue damage to epithelial cells that slows the healing process immediately after surgery. Recovery after epi-LASIK typically is faster because no alcohol is used to create the epithelial sheet. 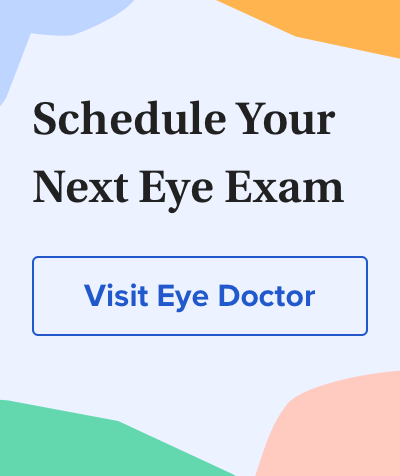 LASEK eye surgery offers a safe and effective alternative to LASIK but typically is performed only if you are not a good candidate for LASIK eye surgery, owing to the faster visual recovery and minimal discomfort associated with LASIK. An experienced eye doctor will be able to advise you when LASEK is the best vision correction surgery for your individual needs.